Cake Smash Photographer Cleveland Ohio | Carter is ONE! Oh me, oh my, how time flies! I can not believe carter is ONE already! It seems like yesterday he was here for his newborn session! This little guy came in for his cake smash session this week and was all smiles! Carter’s family has been with me since the very beginning and I am so happy that I have watched them grow. His older sister was one of my very first year graduates. They are such a special family, not only to my business but in my heart as well. Carter’s momma wanted a star theme for his first birthday photography session. I LOVE the twinkle twinkle little star scheme! If only the photos came with audio because he kept saying ‘mmmmmmm’ over and over. I agree Carter, cake is the bomb! I love how their personality shines through in these photos. All those little details are just so yummy! 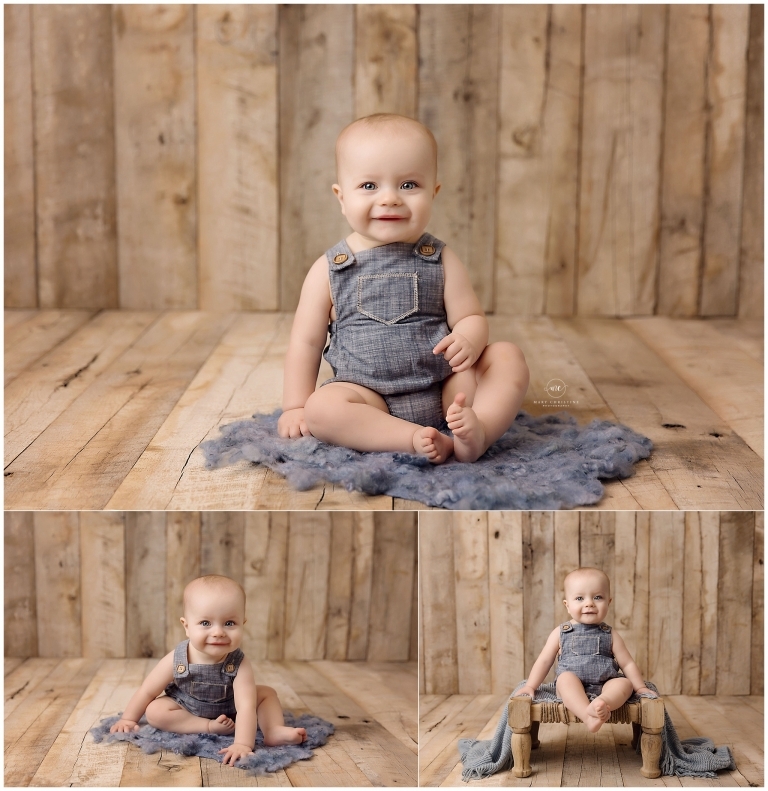 How sweet are these overalls from Baby Bliss Props? They are simple but oh so adorable! Did you know that you have access to my clothing collection during your photography session? It is true, all we need is your baby! Leave the worry and stress to me! Babies in buckets never get old, do they? It is pretty much a requirement that we put your baby in a bucket in my studio. Oh those little lips! I love this simple romper from Cora and Violet. Simplicity is always my favorite! Thank you so much for stopping by the cake smash photographer Cleveland Ohio blog! Is your baby approaching their first birthday? Interested in a cake smash session? Please check out similar sessions on the blog! 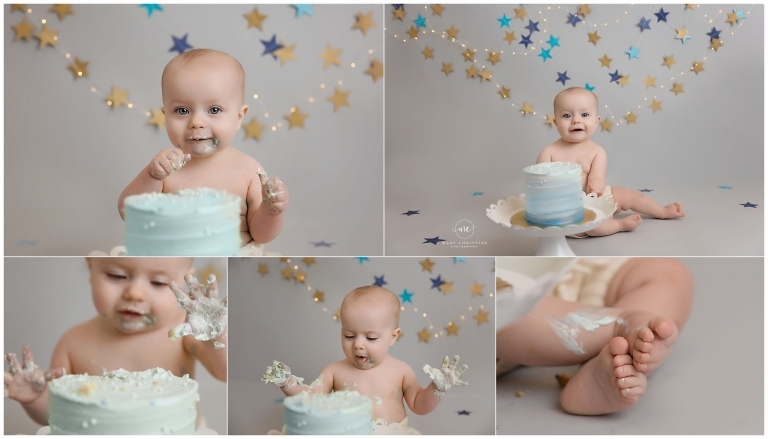 Cake smash sessions include a cake and set to match your little one’s first birthday theme. I would love to discuss creating a session just for you!